Looking for something mind-blowing to build with pallets? Let’s check out what’s new in pallet wood recycling, if you really willing some appreciated pallet-made decors recipes then this DIY pallet dining table decor set is best to make a selection! 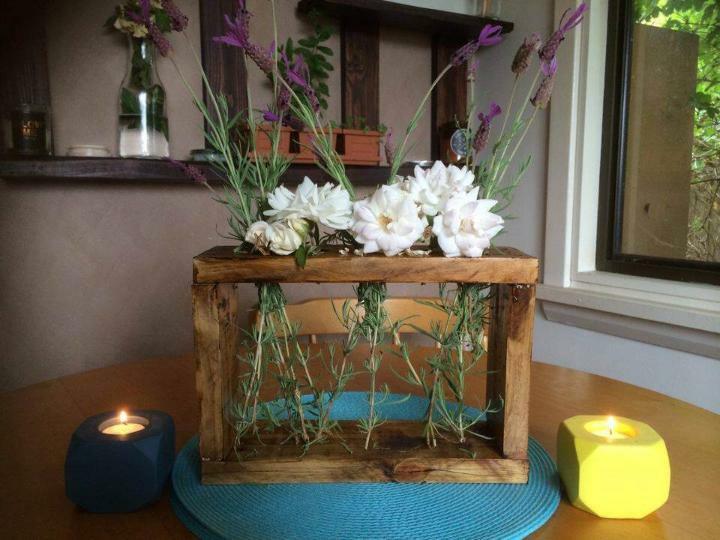 Rustic remains of pallets have been rejoined to build a box like flower holding frame and two pallet chocks have been modified to gain some cavities on the top and hence they are changed to amazing candle or tea lights! The amazing thing is that this is all free to grab and you can really organize your dining or coffee table with these decors for appreciated comments! However, the pallet made table lights you are viewing, can also be placed over the interior wall shelving levels for mesmerizing antique lighting expressions! These lights would also come in handy while planning decorative schemes for upcoming festivals! You can make these decors appear in lot of colors using paint and can really target them for bundles of your decorative plans! A hollow box like shape has been given some holes to its top just to get a brilliant flower holder or organizer of it that will help in bringing an instant natural vibe to dining table! Wooden votives are made of removed pallet chocks and have been painted in yellow and blue! Find pallets now and build awesome embellishments, tea lights, candle votives, cutlery organizers, spice jar caddies and planter boxes out of them! 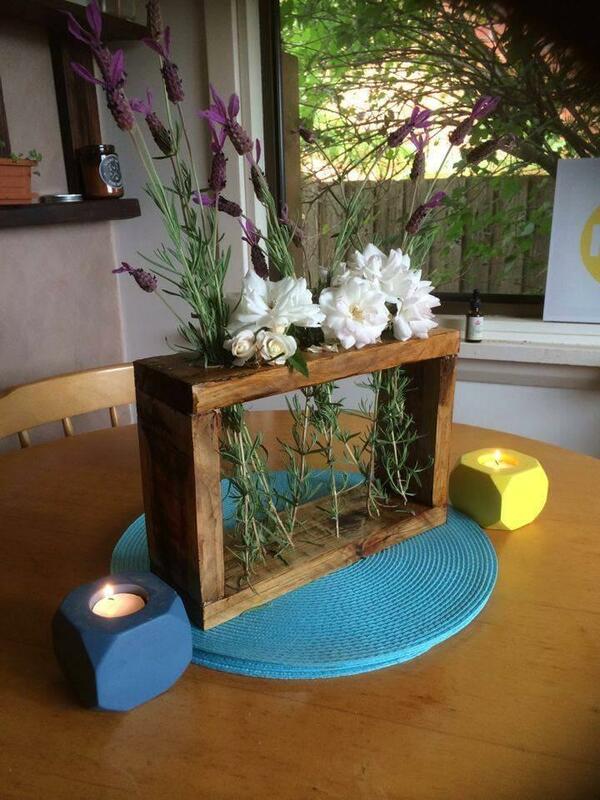 Browse our site to get unlimited more ideas to recycle the pallets in a creative way!